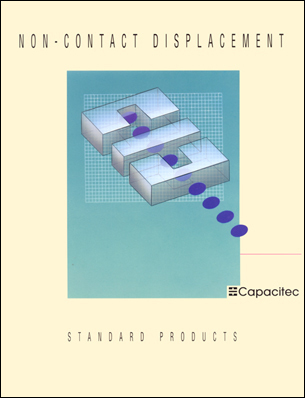 Capacitec Non-Contact Displacement Transducer Products. Key features noted for their large linear range versus small outside diameter of probe package. Particularly well suited in applications of magnetic fields, high resolution, high temperature. Typical appliations include: Computer hard disc drives; Gas turbine tip clearance; Disc brake testing; Tooling dimensions.